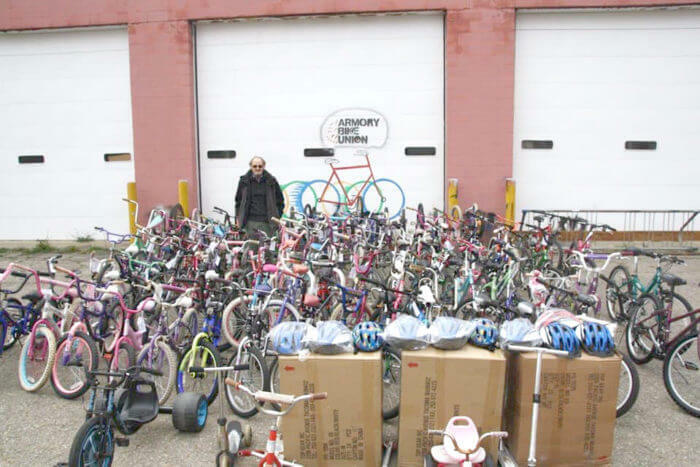 Armory Bike Union (ABU) is a Jackson-based workshop, promoting bicycle safety in their area. ABU received a Micro-Grant fund for their project, Together We Can Make a Difference. Thank you to Terry Larkin, for telling their story. “The Amory Bike Union (ABU) is a community-based bicycle workshop in Jackson Michigan. Our aim is to promote a safe and vibrant cycling community here in Jackson. Each year we implement a project with a primary goal of educating children in bike safety. This year’s safety project was named Heads Matter. The goal of this project was to give away a free helmet to all children who received a bike from the ABU. This program was funded through a Micro Grant from the League of Michigan Bicyclist with the ABU matching the grant. These funds made it possible to purchase 242 helmets. 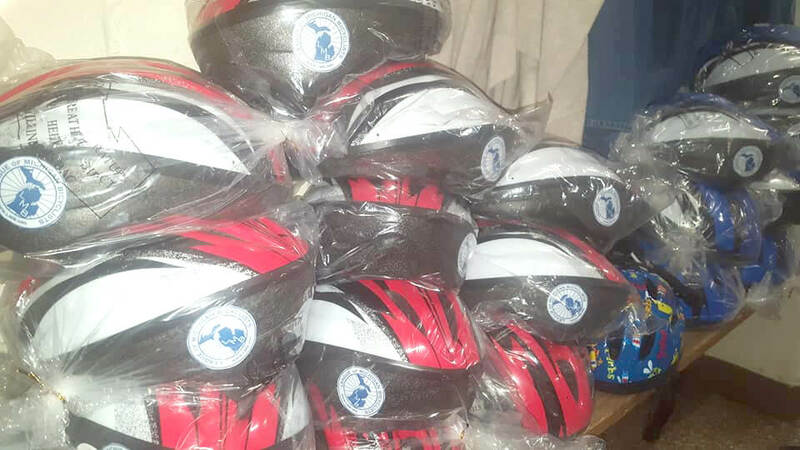 We would like to extend many thanks to the proprietor of Pedal & Tour Cycle shop, George Webster, for accepting delivery of 11 large boxes of helmets. 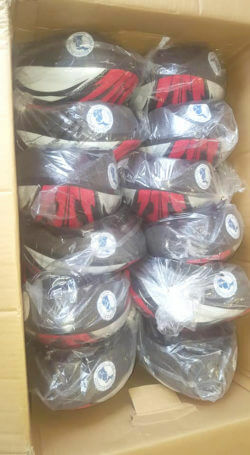 By reducing shipping cost, Pedal & Tour made it possible for the ABU to buy 8 toddlers helmets, as well. Each year the ABU partners with the Priceless Gift Store, a program run by Wendy Wight and Together We Can Make A Difference. During this year’s operation of the Priceless Gift Store, 130 bicycles and helmets were given out to families for their children. Twenty-five additional helmets were given to families of children who already had bikes and either did not have a helmet or needed their helmet replaced. ABU Team Leader Barry Poor ensured that all the bikes that went to the Priceless Gift Store were safe and roadworthy bikes. The Save Our Youth program also had great success this year. Fifteen participants received their certificates in bike maintenance. Each person who completed the certificate course also built their own bike and received a helmet upon completion. Each bike that was purchased by individuals during the 2018 season also received a free helmet. The ABU sold approximately 30 bikes in 2018.